Turner Construction, the General Contractor building a replacement hospital for Adventist HealthCare Inc., partnered with Noovis, a Maryland based network solutions provider, to provide a WiFi solution for connectivity throughout the entire job site. The Noovis solution uses state of the art Ruckus WiFi technology to provide access to the trailer and ultimately the internet. The solution called for a pair of directional antennas extending the Turner LAN from the construction trailer to the Construction Site via APs placed throughout the job site providing access to the outside world for all mobile devices. The 511,000 square foot replacement hospital for Adventist Healthcare Group will expand access to patient care in the region. Washington Adventist Hospital will move its acute-care operations to the new facility, which offers 170 additional patient beds, including 28 intensive care beds, 16 intermediate care negative pressure beds, and 22 maternity beds, operating rooms, and angiography labs for cardiology. The facility will also feature eight observation beds within the medical-surgical units, as well as an emergency department with 34 treatment bays and 12 clinical decision beds. “Due to our construction trailer being 100+ yards away from the actual construction site, we knew that connectivity was going to be an issue. Relying on cellular networks is inefficient for viewing drawings in our Bluebeam Studio, viewing/inputting data into our cloud-based Weekly Work Plan format, as well as uploading photos to our SharePoint site. 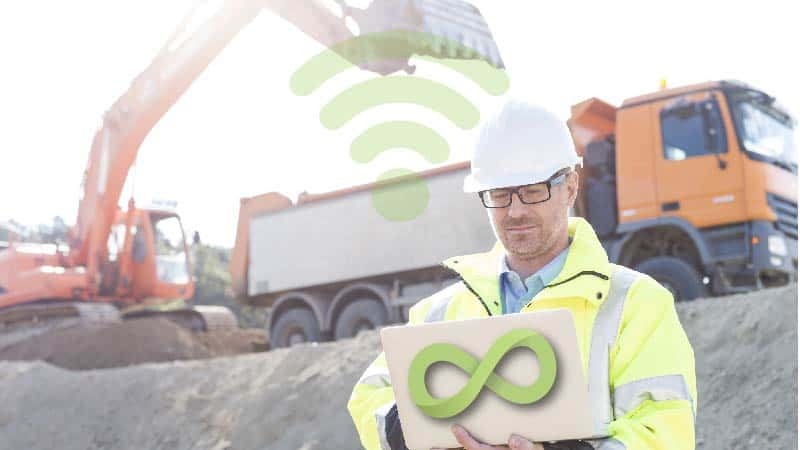 That’s why we partnered up with Noovis who came up with a cost-effective solution – a WiFi network for the job site that ties into our Construction Trailer Network. We provided Noovis with our requirements, and they designed an easy and cost-effective wireless solution that extended our connectivity from our construction trailer to and throughout the entire jobsite.” Nick Sevier, Turner Construction. “It was great to work with Turner on this project. It was clear to us that they understood the value of a well-connected jobsite”, Tom Napoli, Vice President – Noovis.